If you’re reading this article you’ve likely already embarked on a strength training journey. If you aren’t using barbells, you should be because progressively training the basic barbell exercises (the squat, press, deadlift, and bench press) is the most effective way to get strong and actually quantify progress. So, if you’re just starting out, you’re not yet approaching a point in training that may justify worrying about the next step. But you’ll get there sooner rather than later, so why not be prepared? 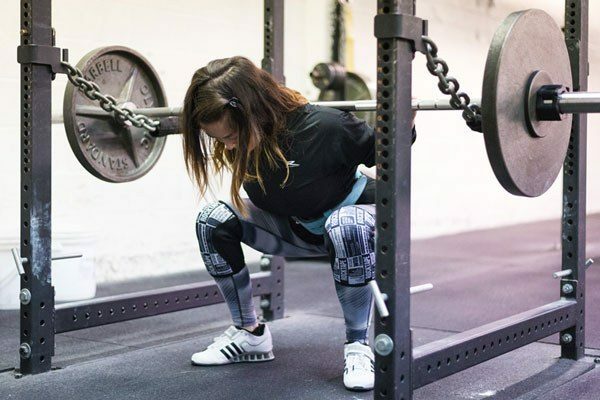 You’ve been training for a few months following the novice linear progression (NLP) as laid out in Starting Strength: Basic Barbell Training and Practical Programming for Strength Training. You go into the gym to train, add a little bit of weight from your previous session, and do your lifts for 3 sets of 5. You’ve heard about this mystical “reset” that people allude to as time goes on in the NLP, and your sessions are getting tougher and tougher. You begin to wonder...should I reset? What does this even mean? The reset is a common thing that new lifters often misunderstand and misinterpret when navigating the world of strength on their own. You'll need to understand what a reset is, why it’s used, and how and when to implement it in your novice training program. First we need to understand what a reset actually is, as this is often where people get confused. A reset is a 5–10% drop in training loads without an accompanying change in programming. A reset is NOT a change in programming, a 1–2 week deload, or a low stress week. Let’s review: The NLP is a basic lifting program that consists of alternating workouts A and B three times per week, adding a little weight to each exercise each time that forces you to progress from session to session. Novice lifters are really good at recovering quickly between training sessions, and for this reason it’s easy to add weight each time you train, provided the not much more than 48–72 hours has occurred between workouts, and that you’re adding the appropriate amount of weight to the bar. For some trainees and depending on the exercise, it could be as small as 1 lb, and for others it may be 10 lbs. There are a few scenarios in which your next workout may not turn out well if you add weight from the previous session. A layoff occurs when it’s been over a week since your last training session. In this situation, if it's been a week, just repeat the last workout you did set-for-set. If longer, reset 5% if you’re under 40 and 10% if you’re over 40. If it’s been 3–4 weeks since your last workout then reset 10%, no matter what. Acute injuries occur when there is a sudden onset of pain due to known or unknown factors leading to a pause in training or the inability to lift your current workloads. After injury, reset 5–10% or as much as needed to train with minimal to no increase in pain above its level at rest. Your warm ups are a little aggravating but if you continue to warm up and feel improvement, good. You should never feel worse over the course of your working sets. The longer you’ve been out from training due to an injury the larger your reset should be. Don’t be a hero – build back up from there. Over time, you have allowed your form to “creep” as your training loads have increased and you end up doing some (or all) of the following: you can’t stop rounding your back on your deadlifts, you’re getting serious knee cave on squats, or you have an extreme lag in one arm on a pressing movement such that it’s potentially detrimental to your safety to continue pushing the NLP like this. To improve your form and decrease your risk for injury reset to a load where the breakdown doesn’t occur and build back up from there with small increments to allow the weak link in the kinetic chain to adapt. 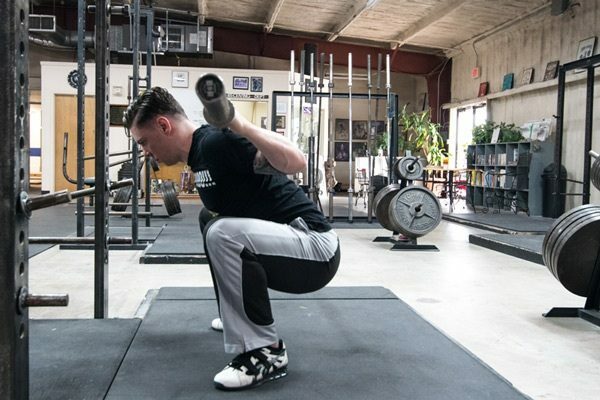 This reset is a pointless waste of time if you don’t focus on technique during the process of small load increases from workout to workout. You’ve just failed your reps and sets for the 2nd time in a row despite adequate rest the last few nights, enough time between sets, eating ~4,000/~2,500 calories (men/women), and taking a double dose of the pre-workout tonic of your choice. This happens to everybody on the NLP at some point. When it does, you should reset 5% and make day 2 a light squat day (80% of Day 1’s load for 5 reps × 2 sets). If you’ve already done that switch to 3 reps × 5 sets (squat/bench press/overhead press). Deadlifts switch to 3 reps for 2 sets across, or a work set of 3 reps with a back-off set of 3 reps × 2 sets at -5%. Scenario 4 is the only reset scenario that comes with a small programming adjustment. Increase your rest time before the next set by 3 minutes and still try to get all your reps in to complete the prescribed volume for that day. Even if it’s in broken sets – 5,4,3,1,1,1 – don’t lower the load or call it quits unless you feel at risk for injury. If you got 4 or more reps on your first two sets, attempt 5 reps × 3 sets again with the same load the next workout. If you complete all 3 sets for 5 reps the second time around, continue progressing your workouts with 2.5 lbs jumps and add in a light squat day if you haven’t already. If you got 3 or fewer reps on your first two sets then use the same load but switch to 3 reps × 5 sets. Going forward adjust your jumps to 2.5 lbs and make sure you’re resting at least 5 minutes between sets. Two minutes is not enough. Five minutes is barely enough, but with the switch to 3s may be okay for a bit. Add in a light squat day if you haven’t already. Hopefully this all works, but it may not. So if you come back and miss your reps and sets for the same load a second time despite repeating it, adjusting the reps, taking longer rests, and exhausting all the standard NLP programming adjustments, it’s time for a programming change. At this point a programming change works better for long term training motivation, success, and continued progress than doing another reset. 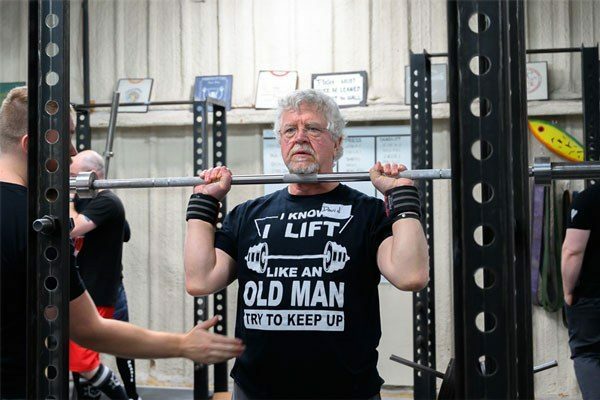 Congratulations, you’re an intermediate lifter! Well, at least for the particular lift that has officially stalled. 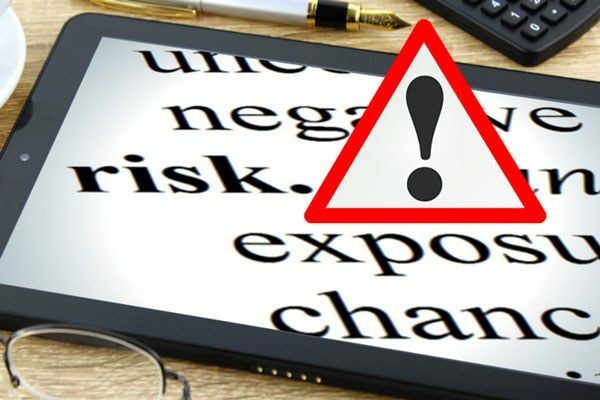 A common mistake many people make when they come to the end of NLP is that they prematurely change all their lifts to intermediate programming. Don’t make this mistake. You do not need to change the programming for all lifts – only the lift that stalls. All other lifts should continue on the NLP until their individual times have come. While it’s important to learn appropriate, sound technique for each lift – and as coaches we stress sound technical execution – it’s a fallacy to believe that each rep must be technically perfect to progress load. A certain percentage of novice lifters get hung up on the idea of perfection and hold off on adding weight to the bar or even lower the load the next training session because their form wasn’t perfect. What is perfect? Is anyone perfect 100% of the time? Obviously not, especially if you're using enough weight to get stronger. And it’s certainly not expected of you to be absolutely perfect before progressing the load. 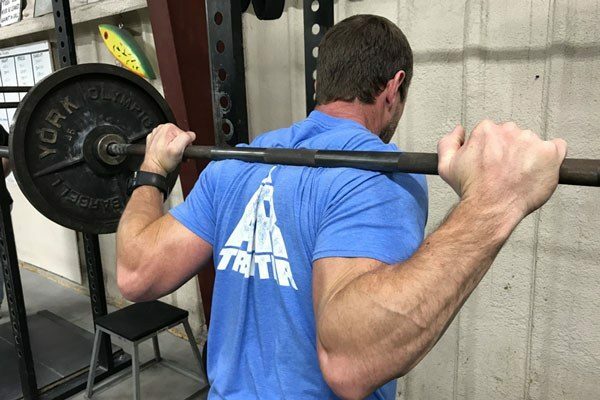 In fact, the overwhelming majority of the time technique improves as you get stronger and continue to practice the lifts. If you find that despite continued cueing and focused practice, your technique breaks down further and further each session, see Scenario 3 above. 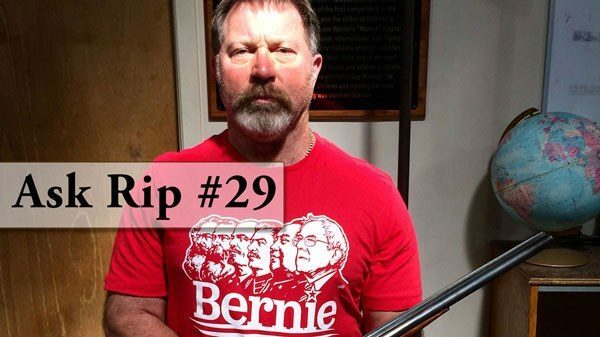 Don’t jump the gun on this. Give yourself time to change, practice, adapt, and get stronger. Over time technique should improve. If it doesn’t, a reset could be considered, but a coach should also be consulted to help you with your technique and programming if it continues to be an issue. Hopefully you’re not missing reps and not taking time off training but, it happens. If you do miss reps, have a layoff, an injury, or experience technical issues with your lifts, you now have a better understanding of when to reset and when not to reset. Experience technical breakdown above a specific warmup load that is significant enough to pose potential injury risk and is not correcting itself despite all coaching/cueing efforts. Missed reps at the same load for two workouts in a row, this is the first time you have missed reps in your NLP, and have not exhausted all NLP programming adjustments. Missed reps in one workout. Have minor imperfections in technique.